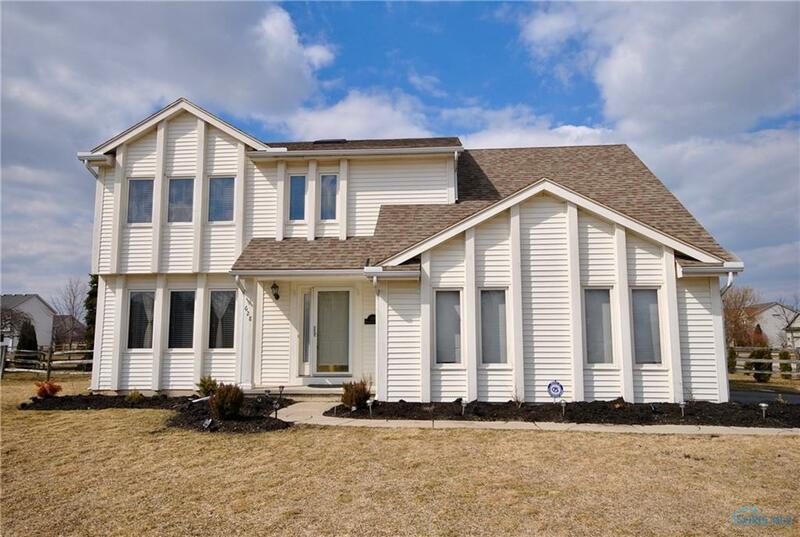 Great opportunity to live in one of Perrysburg's best neighborhoods. 4 bedroom, 2.5 bath features a vaulted ceiling w/fireplace in the family rm which opens to the eat-in kitch. Formal living rm & dining rm. Finished bsmt w/more area for storage. Spacious fenced yard w/landscaping ready for privacy. Enjoy the pool. New roof, skylights, appliances & landscaping most recently. Be in before summer!